A cold front blew in last night. When we awoke my husband built the first fire of the season, just to knock the chill out of the air. I wrapped myself in my flannel pajamas and stepped outside to enjoy the crisp morning smells from the front porch. As I sat on the steps sipping my coffee and watching the chickens scratching around underneath the grape vines, foraging for the last of the summer’s fruits, I mused over the hardy flock we raised this year. This Spring, the day before April Fool’s Day, the chicks had arrived via mail order. 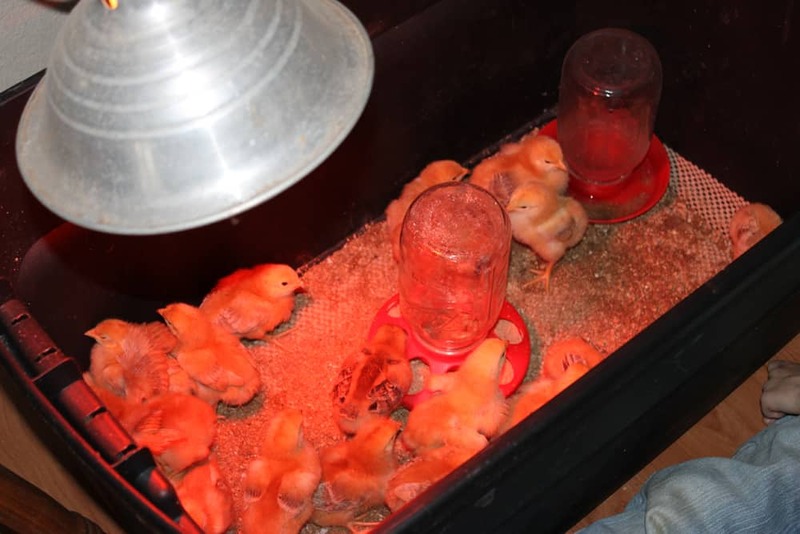 We’d ordered the GMO free chicks from Freedom Ranger Hatchery, Inc. It was 6:30am when the phone rang that morning, a call from the post office letting me know our chicks were ready for pickup. A day earlier than I’d expected them. I was a little panicked, as I didn’t have a brooder box set up for them yet. Quickly I gathered my supplies and started warming a large plastic storage tote with a red incandescent bulb. I grabbed up my sleepy toddler, informed my eldest that I’d be running to the post office and that she was in charge of the other two while they slept, and we drove the 15 minutes to town. We could hear the chicks peeping in the back of the post office as soon as we walked into the front lobby. The office was closed, so I carried my little boy, still in his footy pajamas, to the back of the building and stuck my head inside where the workers were busy sorting mail. I apologized for intruding, but they didn’t mind. I wasn’t the only one who had chicks in that morning, so they double checked to make sure I had the right box before we were on our way back home. The chicks were hungry, peeping loudly from their little box. It’s amazing that they can survive such a journey at just a day old. The other children were so excited when they woke up to find the baby chicks. Week old chicks quickly outgrowing their brooder. The chicks grew quickly. We found them to be very hardy compared to other flocks we’ve raised. All of the chicks were healthy and strong. We didn’t lose any to natural causes. They didn’t forage like normal chickens though. They didn’t seem to have the instinct to scratch and peck. I realize they didn’t have a mother hen to teach them to do so, but we’ve raised many day old mail-order chicks and have never had a flock lacking the instinct to forage. They were content to congregate around the feeder and eat what was easiest to them. 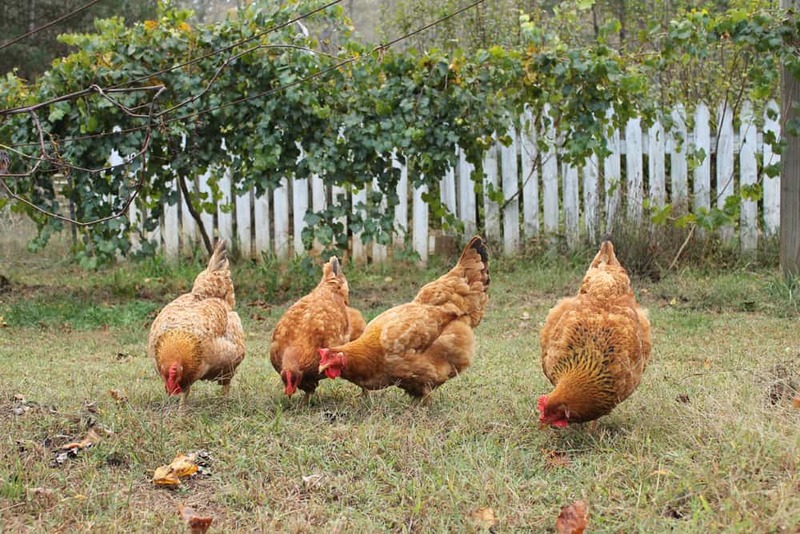 We let them free range in the yard, gave them access to bugs, worms, clover, table scraps… all of the things chickens normally go crazy over. The chickens acted as if they were afraid to eat anything other than their grains. It was the oddest, and most frustrating thing we’ve ever experienced. How could we raise “free range” meat if the birds wouldn’t free range?? We thought if they were hungry enough they’d start foraging, so we reduced the amount of feed we gave them. They held out though, and waited by the feeder for their next meal. Eventually, by the time they were almost full grown and with much prodding, they finally got curious enough to peck at the ground. Slowly they became foragers. Unfortunately, just as the chickens got old enough to be butchering size, a fox discovered our flock and began taking our chickens one at a time. By the time we realized what was happening we’d lost half our flock. I never knew a fox to jump a four foot fence. This one did. One day my youngest daughter, six year old Xia, went out to the coop to collect eggs. As she entered the run she was startled by a fox with a chicken in its mouth. The fox, just as surprised, dropped the chicken and jumped the fence, disappearing into the woods. My daughter came running back to the house, shouting at me as she busted in the back door. When I reached the chicken run there were two hens laying on the ground, motionless but still breathing. I humanely finished them off. Quite unfortunately, both of them had deep puncture wounds from bite marks, making them unsafe for human consumption. They ended up being cat food. At 14 weeks old we butchered a few, as needed. They averaged about six pounds each. That’s a pretty good sized bird. Our family of six can get 2-3 good meals, plus lots of stock, out of one. We’ve been bad about putting off butchering the rest. Honestly, it’s a chore I dread. Killing an animal is never something I look forward to, so it’s easy to put it off. The downside to procrastination is that the longer it takes you to butcher your meat birds, the more expensive each one ends up being. The longer you keep them, the more you spend in feed. Even if you let them forage you still need to supplement with a high protein feed, otherwise they’ll start losing weight. Our Freedom Rangers are six months old now. Way past butchering age. But they’ve begun laying eggs, which is great, so now our meat birds have turned dual-purpose. We also had one go broody and try to sit on a nest of unfertilized eggs (we didn’t have a rooster at that point)- a great sign of potentially hatching more in the future. For now we’ll probably finish off the flock before winter sets in and start fresh again with a new batch in Spring. 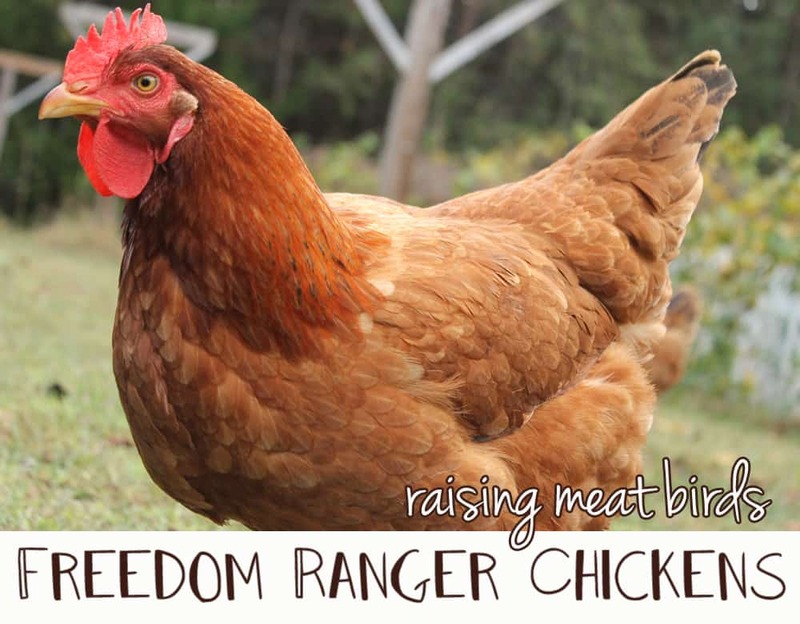 Are Freedom Ranger chickens worth raising for meat? In my opinion, yes. They’re hardy, grow quickly, and don’t get so big that they die if you let them live longer than the recommended 9-11 weeks (when they’re butchering size). Many fast growing meat birds get so big that they can’t stand up anymore and will have a heart-attack if you let them go too long. Another plus to this is that Freedom Rangers will lay eggs when full grown, so you can potentially hatch out more meat birds to continue your flock. 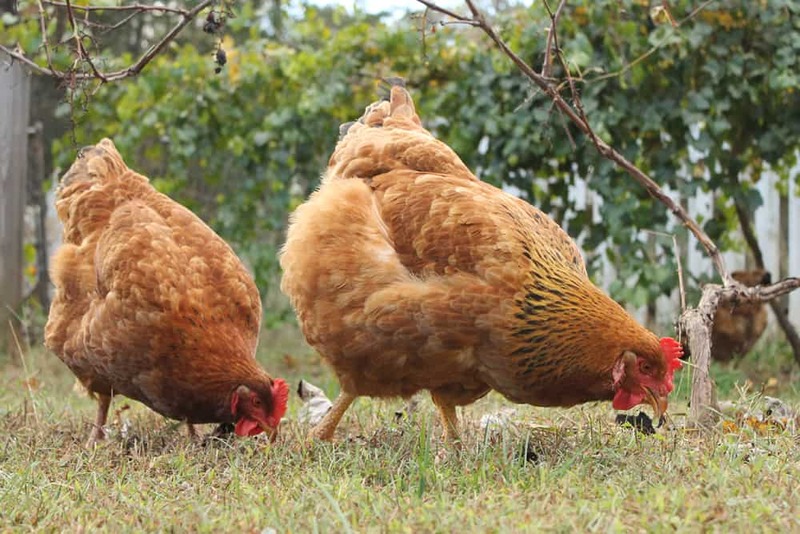 If you’re looking for a breed of meat birds that grows at a moderate pace and will eventually forage and lay eggs, Freedom Ranger chickens are a good selection to try. I’d love to know what your favorite breed of meat birds is! Kendra Lynne Says Goodbye, and an Exciting New Chapter For The Blog! Like the first comment, I love animals,espically curious funny little chickens. I could enjoy laying hens but the thought of killing and butchering a pet turns me off completely. I would become vegan if I had that horrible job to dread. Ugh, we know we should probably get started with chickens but just can’t stomach the thought of killing them. How did you (and the kids) get over this? Like you, we are huge animal lovers. Your In the wrong hobby. This is something that you should leave to advanced farmers. Meat birds are meat birds. If you arent able to do it w a clean conscious it’s wrong and the meat is most Definetly filled w bad vibes at the least. This isn’t something any person looks forward to. But take pride in your grass fed meat. Or don’t do it. My Orpingtons and other heritage roosters were not butchered until 11 MONTHS old. The meat is horribly tough and so is the skin. Cooking for 2 1/2 hours made it tender and it had great flavor. This year I picked up 6 Freedom Rangers, not realizing they need to be butchered at 2 1/2 months. While I have not raised Freedom Rangers, I have spoken at length with the family that owns the hatchery. These bird are a cross of 4 different breeds and like hybrid seeds that are saved, you may end up with very different chickens than you expect should you try and hatch out babies from their eggs. You might get something wonderful, but you might also get birds with the worst qualities of each breed. 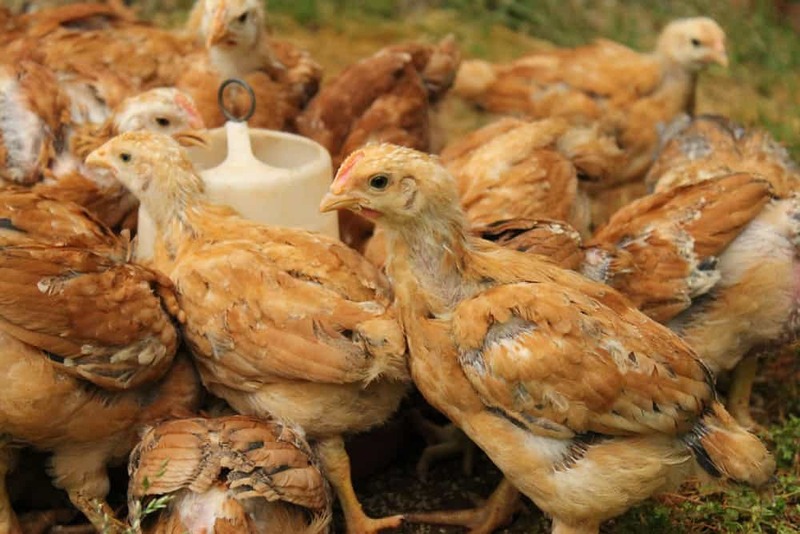 With plants, that is a cheap experiment, with the cost of chicken feed, not so much. I figure that the meat birds I raise are not much cheaper than supermarket organic. I use transitional organic feed that I purchase directly from a farm at a great price and still it is quite costly from birth to slaughter. 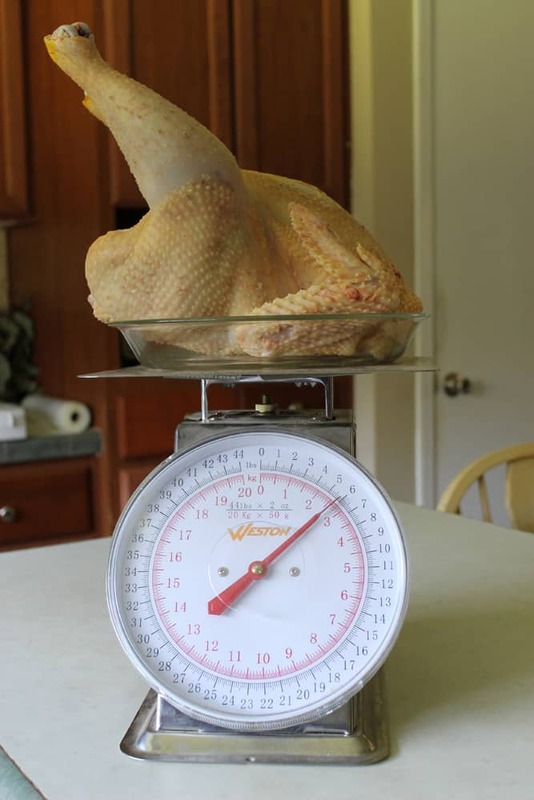 I am curious to know how much it cost you to bring your birds to butchering size and what you thought of the taste and texture of the birds. That’s great information to consider about breeding the Rangers. Thank you for sharing what you’ve learned. To be honest, I stopped keeping track of our expenses once the chickens got to $15 each. When we lost half our flock to predators that significantly increased the cost per bird when we added up the feed expenses and divided it across the flock. I’d guess we’re probably at $20 apiece. We’ve been getting a “low-GMO” feed from a local farmer (who can’t guarantee that it’s non-GMO due to cross-pollination) as well as organic feed from a farm supply store. I noticed there was definitely a lot more fat on these hens than when we butchered our laying hens. We didn’t notice a significant difference between the taste and texture vs. the organic whole chickens we buy at the store. I have grown Orpingtons for meat (hens are very broody so they produce excess chicks). Roosters take 4-5 months to be good size though but they have no problem if let live longer.